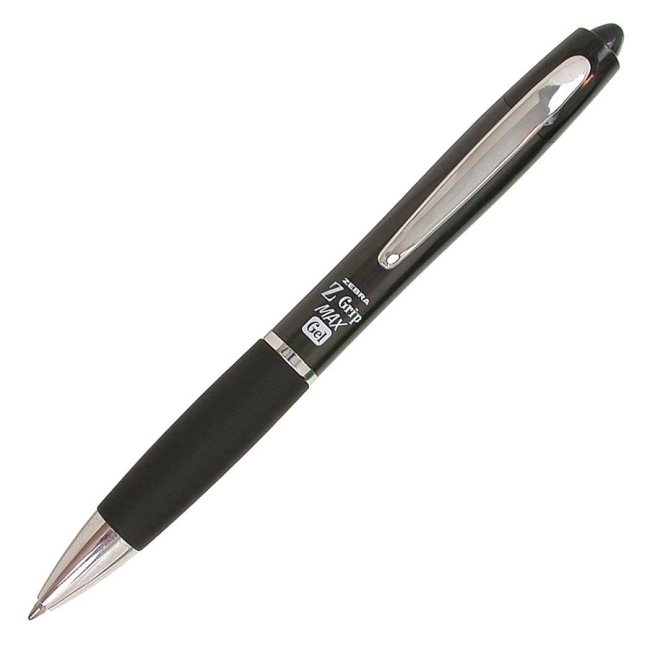 Z-Grip MAX Gel Retractable Pen features a medium point and wide barrel for superior writing control. Extra-large soft rubber grip provides writing comfort. Retractable pen barrel color matches gel ink color. Ink is acid-free and archival-quality. Nonrefillable.